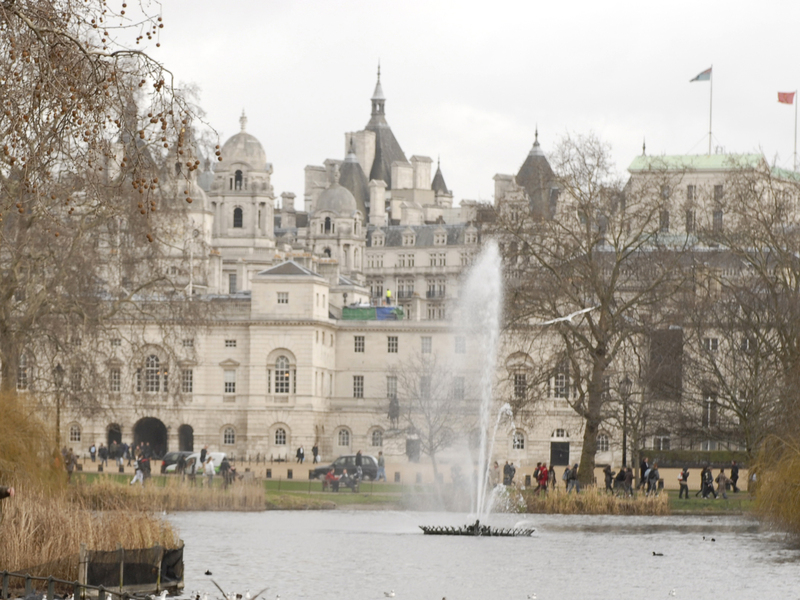 In the summer months, central London can be sweltering. But thankfully there are plenty of things you can do to cool down. 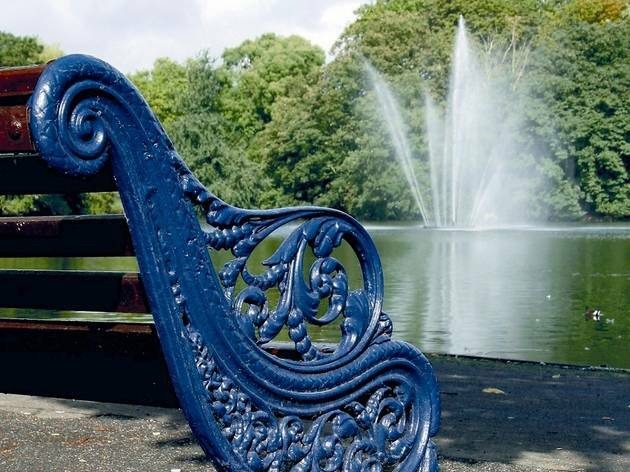 There are ice cream parlours, cold beers on rooftop bars and cool outside pools and lidos, as well as shady spots to picnic or even BBQ in the city’s major parks. 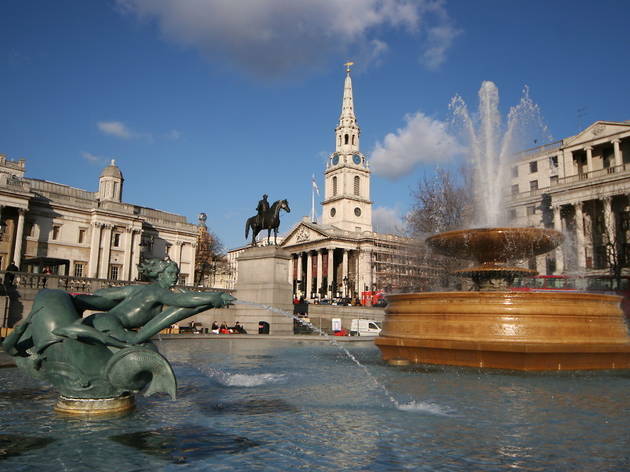 Let’s not forget, though, that the capital is sprinkled with water features and public fountains to refresh Londoners from every angle. 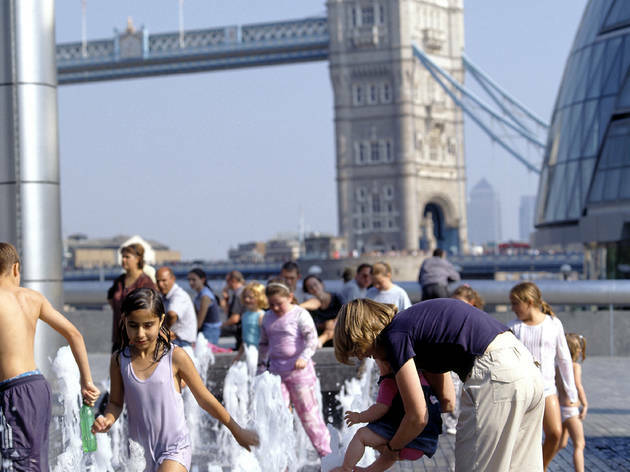 Some are just for looking at but a bunch of them actively encourage big and little kids to have a splash around. 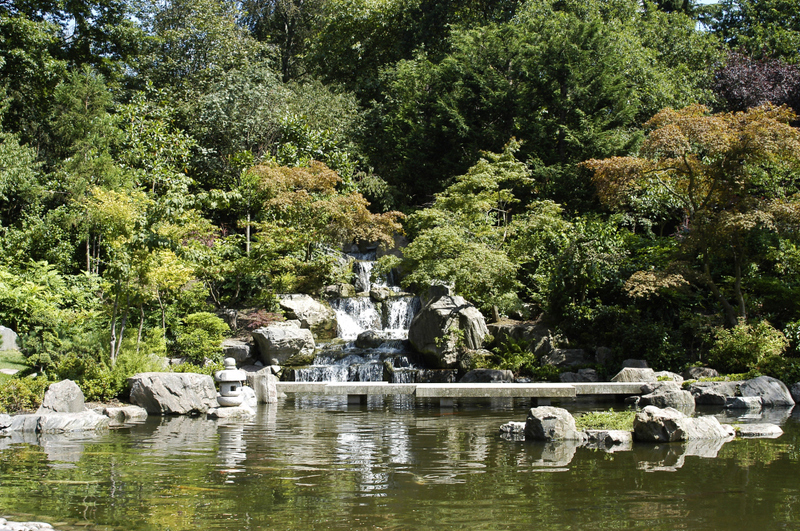 Pack a spare set of clothes and get set to cool down near (or in!) these heat-relieving jets. 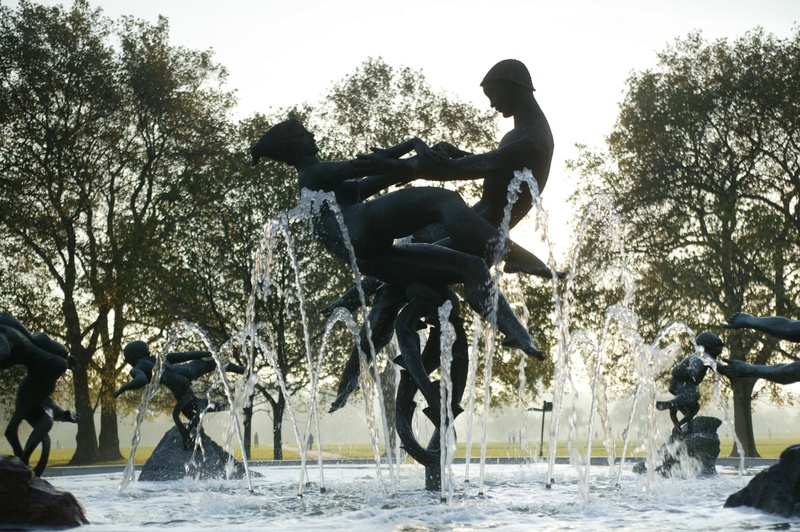 Located in Kensington Gardens near the ever-popular Diana Playground, the fountain takes the form of a shallow stone ring of trickling water that's perfect for paddling. 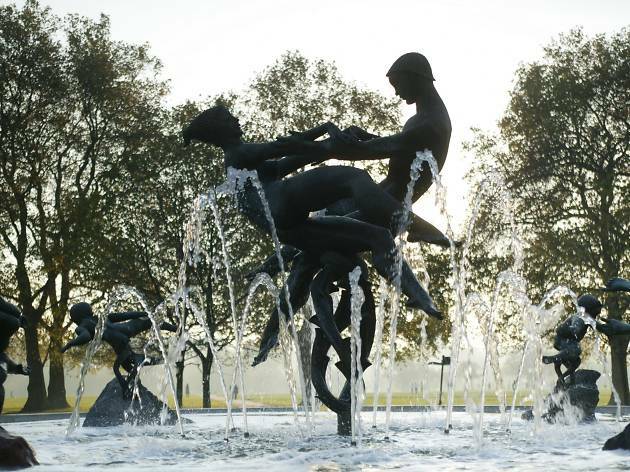 For more a more adventurous dip, there's also the children's section in the Serpentine Lido. 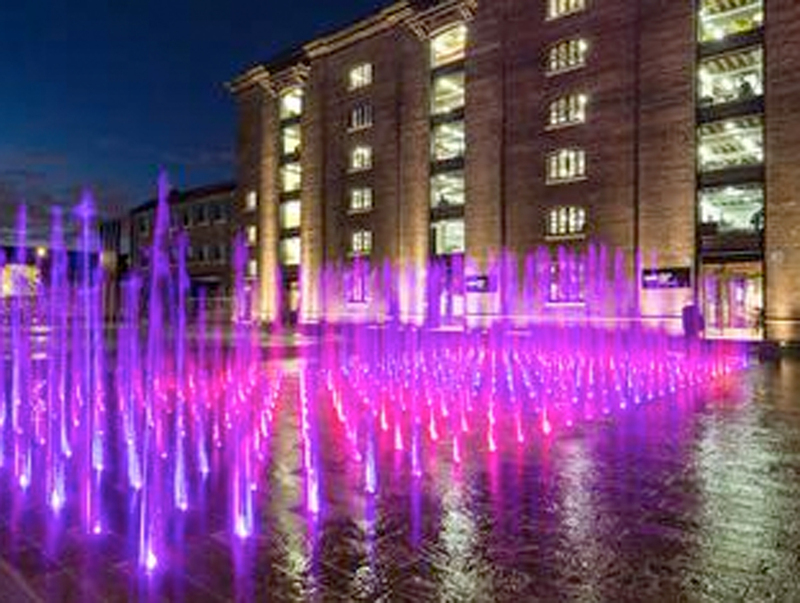 This impressive courtyard offers a lovely escape from the bustle of King's Cross, and its expanse of playful fountains are just the thing for a hot day. 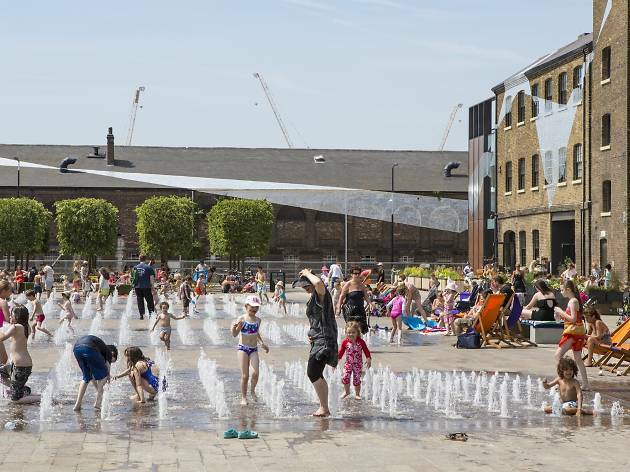 Designed by the Fountain Workshop (who created the watery wonders at More London, the Victoria and Albert Museum and Coram’s Fields), no less than 1,080 fountains create the drama in fashionable Granary Square. 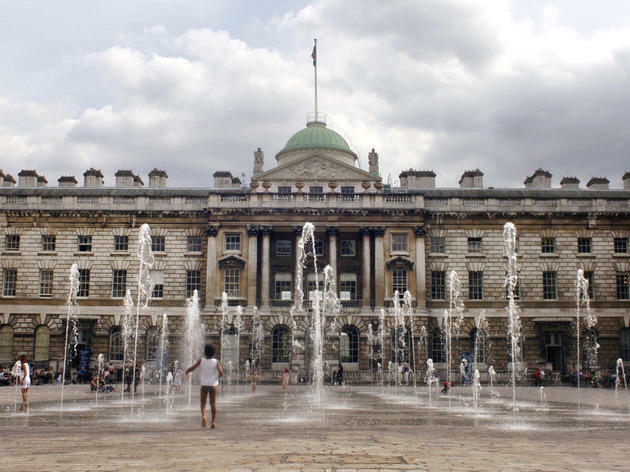 With spurts choreographed to erupt at different heights, children love to play chase across the area as the jets shoot ever higher, before it all goes momentarily quiet – then the fountains begin to bubble all over again. 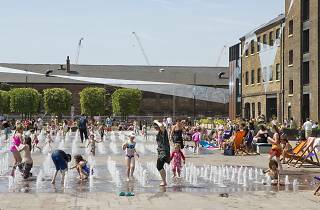 These fountains near The Scoop amphitheatre from London Bridge, you can follow a stream laid into the pavement, which dogs and small children are drawn to in equal measure. The fountains themselves are formed of 200 spouting jets with views of City Hall and Tower Bridge in the background. 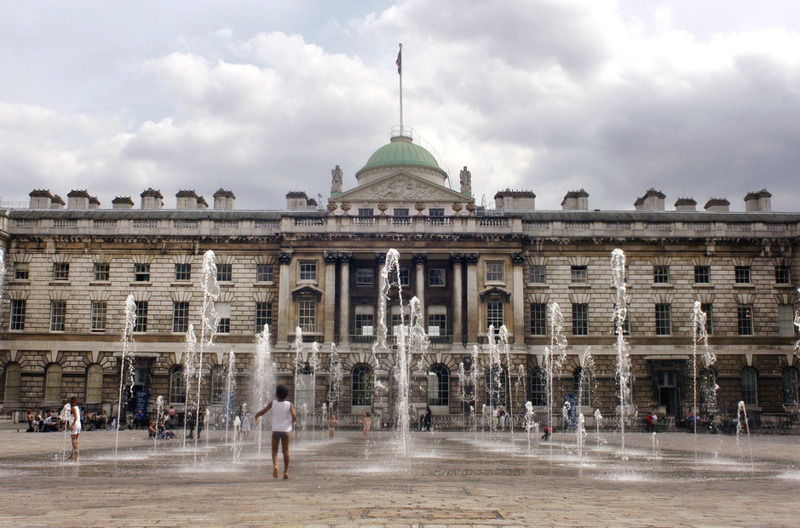 Somerset House's imposing snowy-white neoclassical architecture provides salubrious majesty, while the 55 fountains in the Edmond J Safra Fountain Court provide mischief. 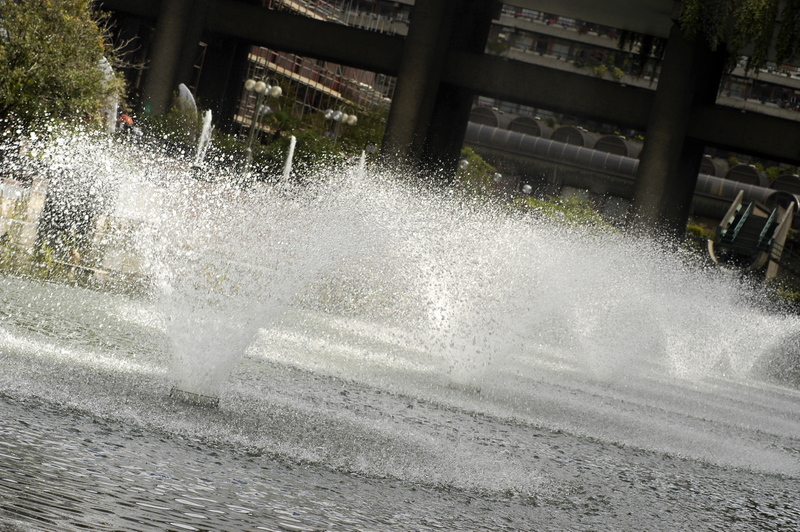 With water jets sprouting in an orchestrated sequence, from teasing trickles to magnificent sky-high spurts, the fun is trying to predict what will happen next. Daredevils love to dart in and out, dodging the spray, but it’s usually only a matter of time before they’re caught out! 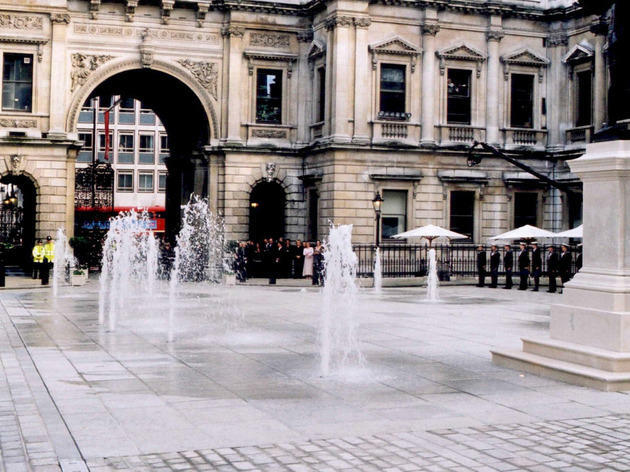 The fountains are in situ from spring to autumn and are turned off during courtyard events such as the Summer Screen film series, so check the website or call to make sure they’re on before you set out. 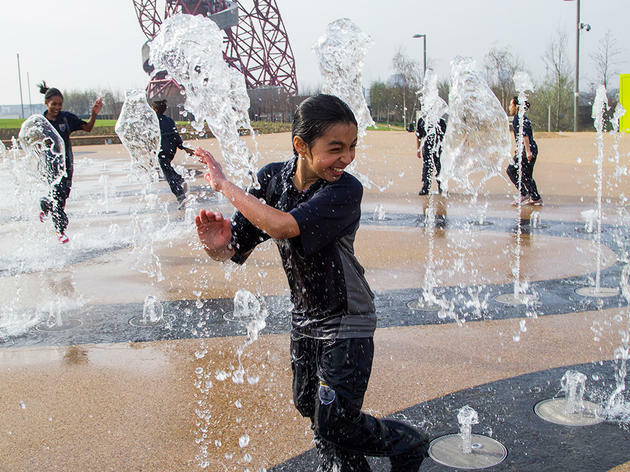 Designed for maximum impact with 195 choreographed jets in a ribbon formation, Stratford’s Queen Elizabeth Olympic Park fountains are irresistible to kids and adults alike. They rise in unpredictable sequences for hours of splashy fun. 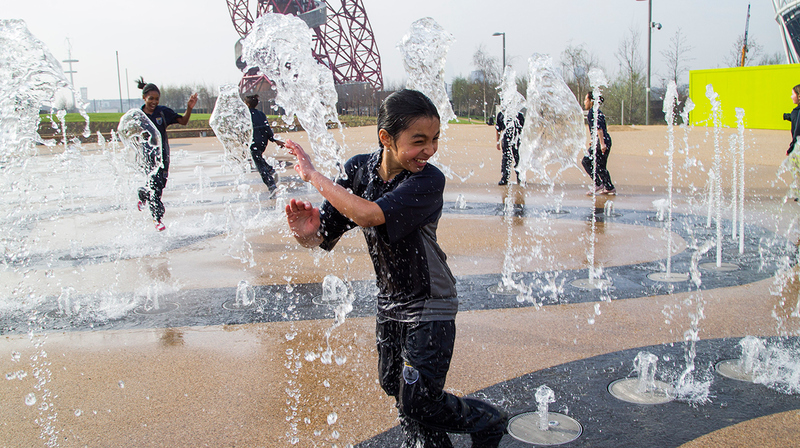 Find them near the Aquatics Centre and the ArcelorMittal Orbit. 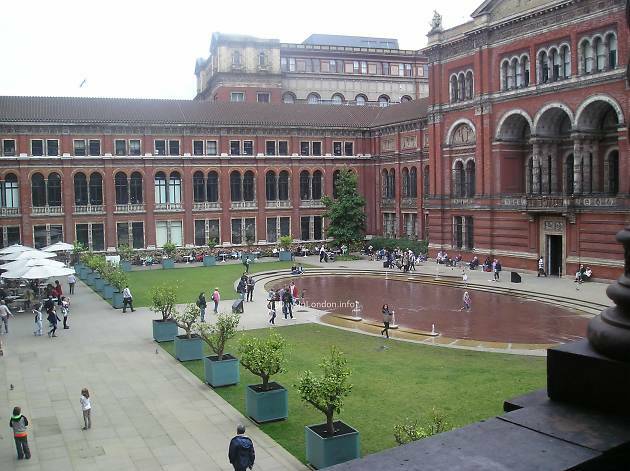 The V&A's Italianate courtyard is home to a beautiful lake fringed with water jets. The oval-shaped central water feature is surrounded by shallow steps which are perfect for little feet, and fragrant lemon trees fringe the garden lending an extra sensory dimension to the elegant space. 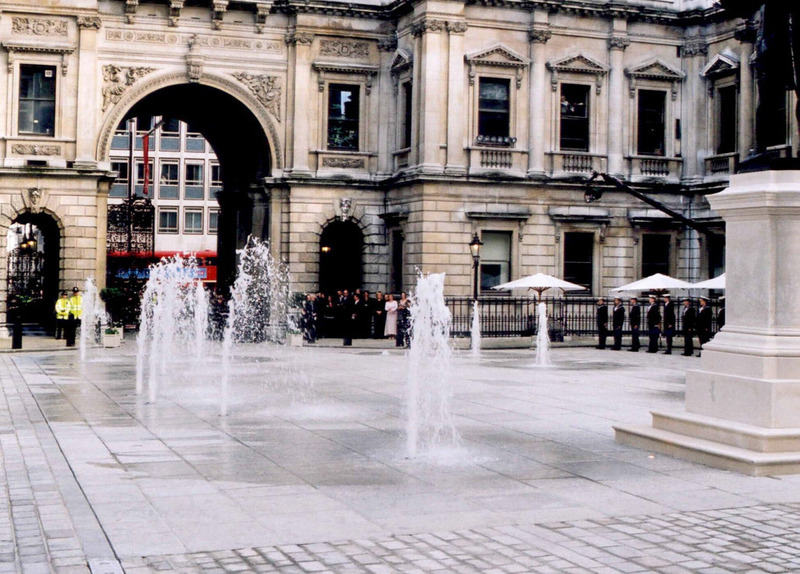 The nozzles of the courtyard fountain are laid out to match the position of the stars and planets on the night in 1723 when Sir Joshua Reynolds, artist and RA Founding President, was born. This pretty garden square near the British Museum has a fountain at its centre that's just perfect for quickly dashing through. 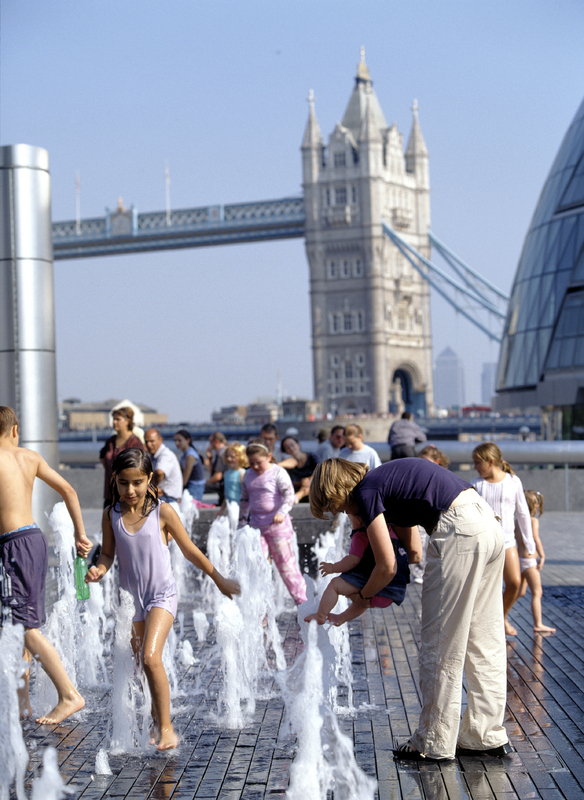 The Hub Playground, on the east side of the park, is equipped with a fantastically designed fountain featuring gently undulating hills, water jets and giant slides. 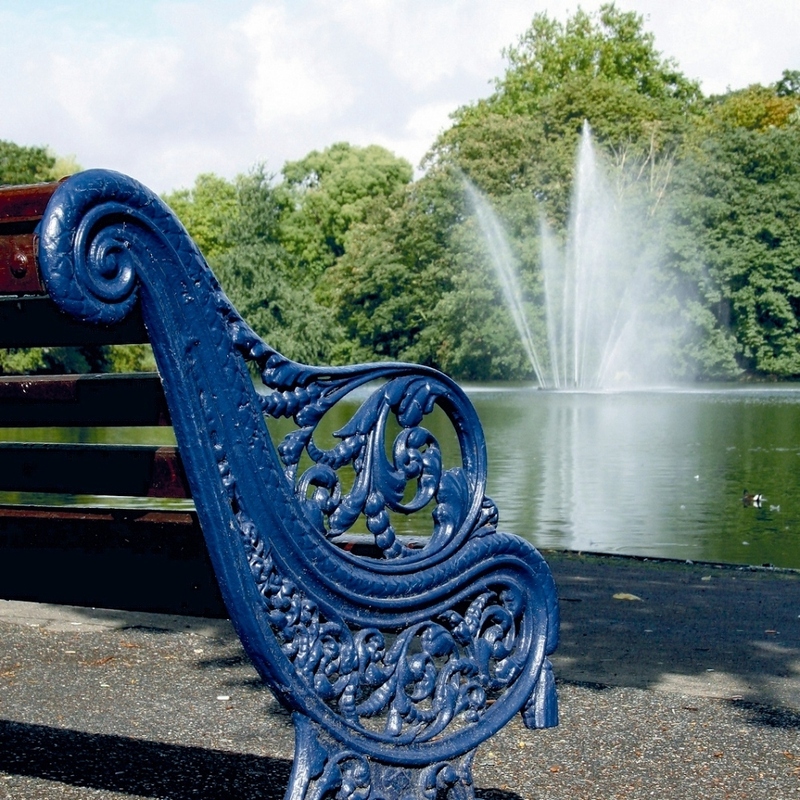 It's open during the summer months, see the Tower Hamlets Council site for times. There's more water play in the V&A Playground on the west side of the park near Grove Road, which has toddler-friendly water pumps and a sandpit. 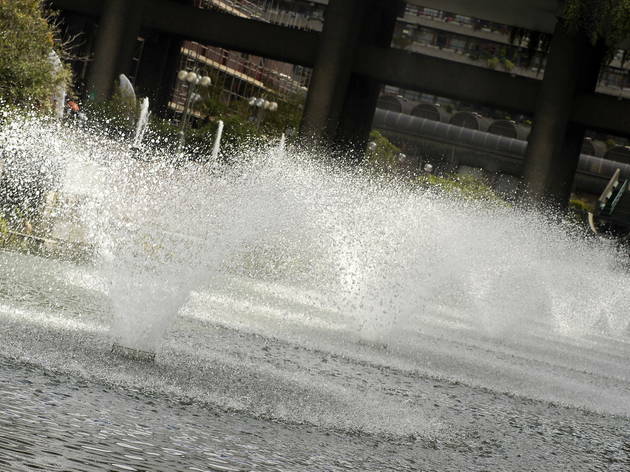 The Barbican Centre, a vast concrete estate of around 2,000 flats and a leading arts complex, is a prime example of brutalist architecture, softened a little by time and rectangular ponds of friendly resident ducks. The lakeside terrace and adjoining café are good spots to take a rest from visiting the art gallery, cinema, theatre, concert hall or library within the complex. 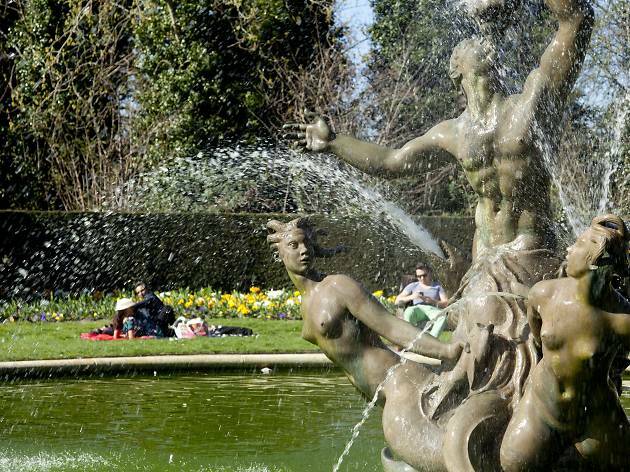 Not content with their impressively vast area, Battersea Park's fountains also put on a water jet show. Gaze and be mesmerised by the main display (daily 10am-6pm) and the additional Crystal display (10am-5pm, on the hour every hour for 10 minutes), and enjoy the cooling spray that comes off them if you position yourself in just the right downwind spot. Ah, refreshing! 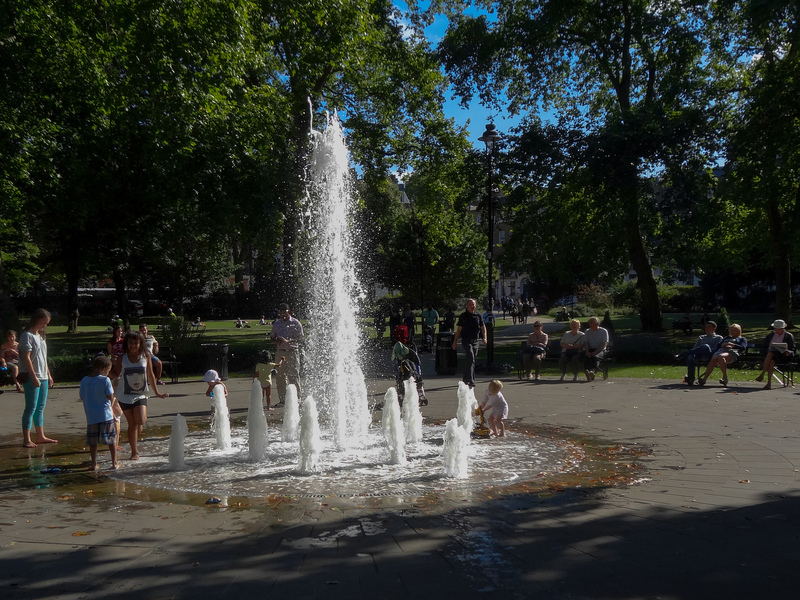 The Joy of Life fountain, next to Aldford Street North Gate, alongside Park Lane, is a popular spot for splashing around in when the weather heats up. 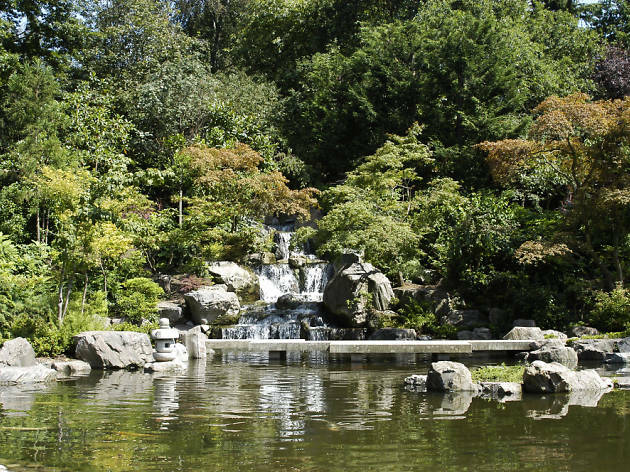 The Japanese-style Kyoto Gardens in lovely Holland Park are home to koi carp and bridge at the foot of a waterfall (not exactly a fountain, but it's so pretty we had to include it). In summer, open-air theatre and opera are staged in the park. Rising spectacularly from the central lake is the Tiffany Fountain, which has a purpose as well as making a good photo point – it aerates the water to benefit the resident wildlife. 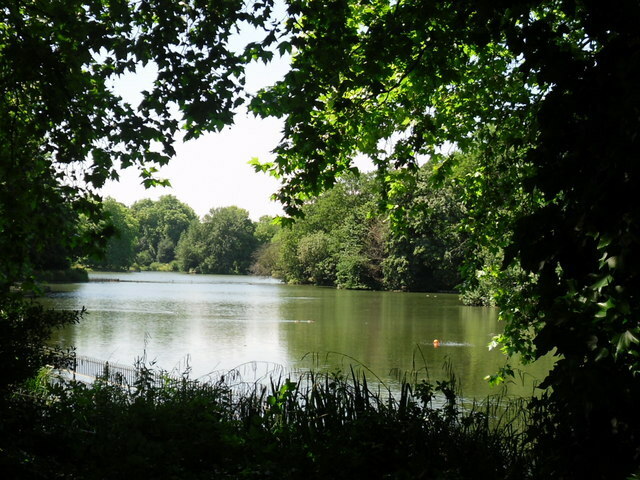 The lake is home to numerous species of wildfowl, including pelicans that have been kept here since the 17th century. The pelicans are fed between 2.30pm and 3pm daily, though they have been known to supplement their diet at other times of the day with the occasional pigeon. 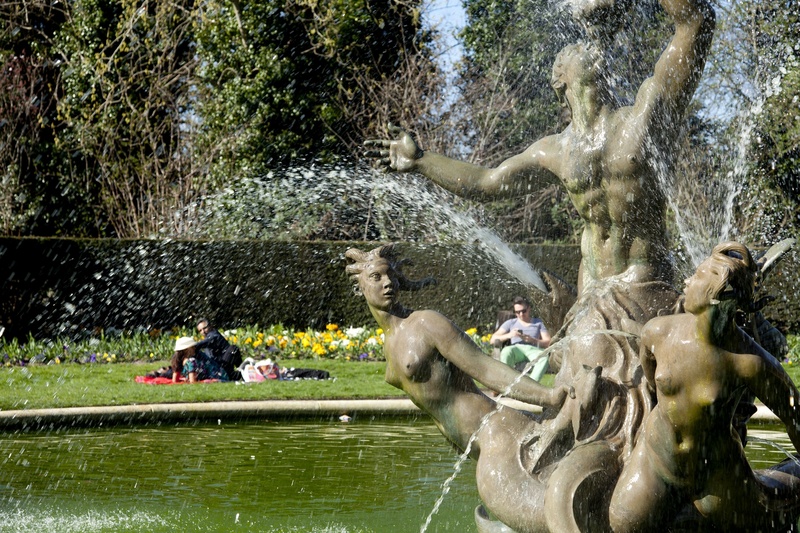 Depicting a sea god with two mermaids at his feet, this sculpture fountain can be found in the pretty surrounds of Queen Mary's Gardens, opposite the Jubilee Gates near Regent's Park Open Air Theatre. 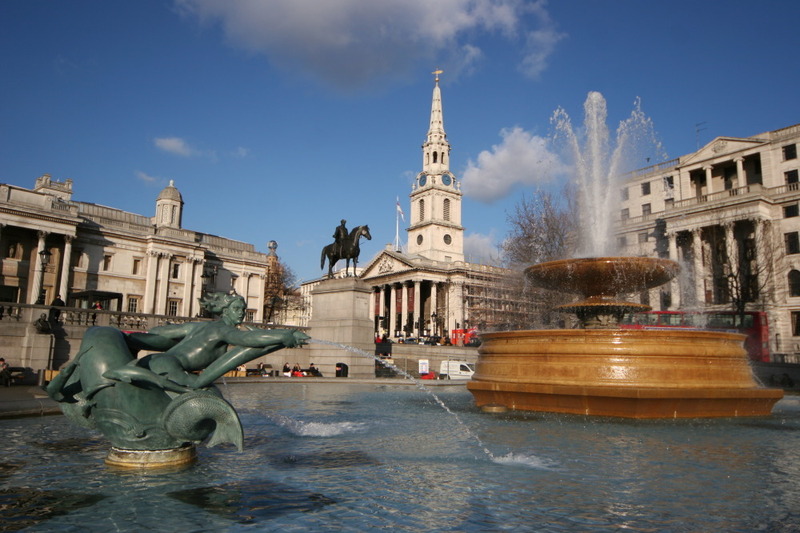 Right outside the impressive National Gallery, Trafalgar Square's lion sculptures and fountains have been attracting droves of tourists for decades. It's strictly no swimming though - so you'll have to make do sitting on the side.